The Samsung ML-1675 mono laser printer has a small 4Kg frame that measures only 7.2 inches tall, 8.8 inches deep and 13.4 inches wide. It offers USB connectivity and a 1200dpi laser print engine. The total media capacity is 150 sheets, and the output tray can handle up to 100 sheets. The operator panel on the ML 1675 laser printer has a minimalist design with only two buttons and a status indicator light. It’s compact, so the Samsung ML 1675 monochrome laser printer can easily be set up and installed on a standard office table without occupying too much space. The Samsung ML-1675 printer has one-touch printing to speed things up, and the low noise level will not disrupt any office environment. Energy-saving features include the power-save button and sleep mode. 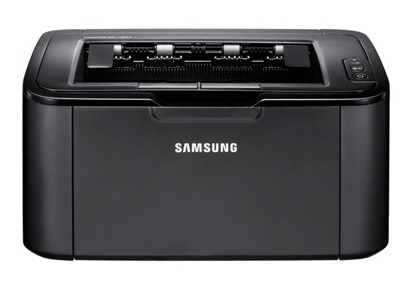 The Samsung ML-1675 black and white printer supports AnyWeb Print to ensure easy direct printing of web pages. Media handling is flexible and covers transparencies, thick sheets, recycled paper, labels, cotton paper and envelopes. The memory and paper capacity of the Samsung ML-1675 mono printer aren’t upgradeable. The print speed is average for its class, and its monthly duty cycle is low at only 5,000 pages. There are no built-in networking features on the Samsung ML-1675 mono printer.